Our Stage Boxes are made out of high quality powder coated steel paneling that has a practical stage design, rubber feet for your assembly and a carry handle. The universal D-holes are suitable for all connectors with common D-flange casing. 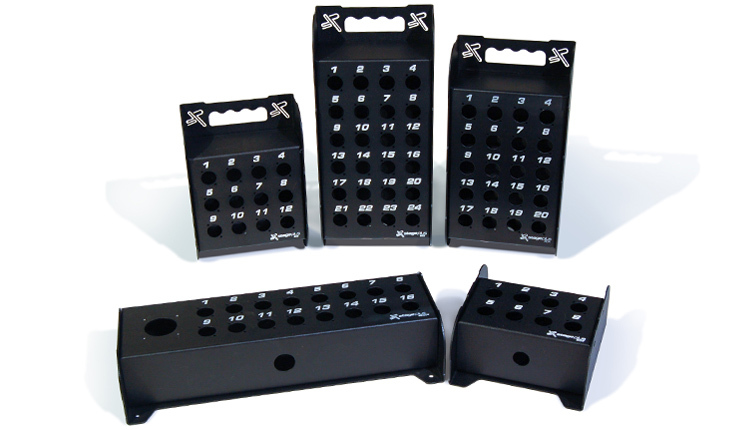 The 2 part casing is solidly assembled with M4 counter-sunk screws and silk screened numbering.